King County voters should reject the arts levy on the ballot because the county has other, more-pressing priorities for its tax dollars. KING County has a wealth of vibrant arts and culture organizations. Most residents have a fond memory of enriching trips to the art museum, the symphony or the science center. Every kid should have opportunities to build those same memories, even if his or her family struggles to pay the rent. 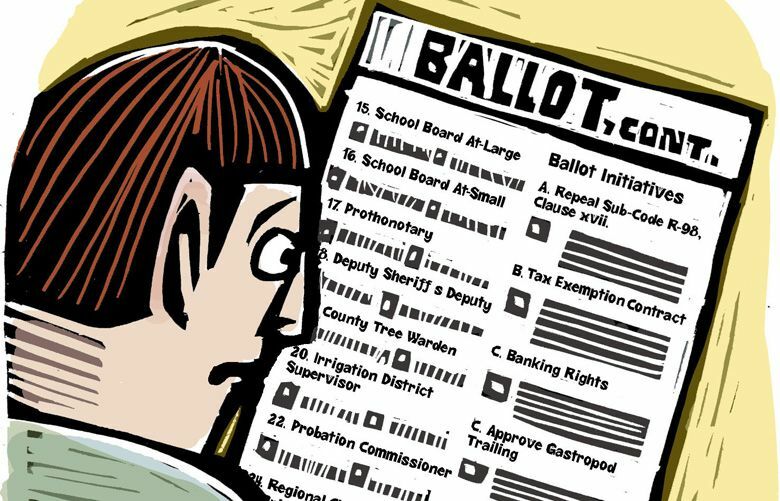 But voters should reject the King County “Access for All” levy on the Aug. 1 ballot because the county has higher priorities and more pressing needs, including rampant homelessness and the crisis in law and justice departments, which are starved for cash. The levy proposal would add another regressive tax to an already tax-burdened community (think car tabs for transit and lots more property taxes for education). In addition to supporting struggling cultural institutions, the proposal also provides a huge cash infusion to some organizations that have other steady sources of revenue. And the money would be focused too heavily on supporting the region’s biggest arts and culture organizations when help for smaller, local groups and more transportation for school children should be the higher priority. This was not an easy position to take, since this editorial board has consistently supported the ArtsFund annual campaign. But King County government should be more focused on helping people who are homeless or suffering from mental illness or substance abuse. Voters will soon face tax-vote decisions for veterans and homeless services, this fall and next spring. Proponents of the arts levy say the 0.1 percent sales tax increase is a small amount of money, even for low-income tax payers. They estimate the levy — expected to raise close to $500 million over seven years — would cost an average King County taxpayer about $30 a year and lower-income people closer to $13 a year. Those who can afford to should give their money freely to regional arts and cultural organizations by buying tickets and making donations. If the measure fails, kids who cannot afford to go to the zoo or the opera will still have access to free tickets. The county government should be focused on finding more money to backfill cuts in the criminal-justice and public-health systems.